Contrary to popular belief, ladybugs aren't a single species of insect. They actually make up an entire family of beetles known as Coccinellidae. 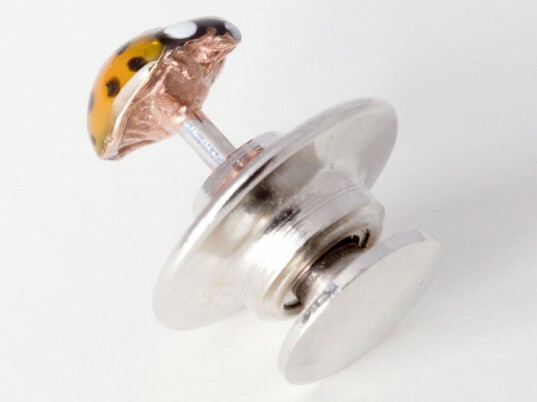 To draw attention their rich biodiversy, not to mention their importance to our ecosystem, New York designer Diana Eng crafted a series of ladybug pins from silver and enamel. Hand-cast to scale, the 11 dome-shaped critters display a range of colors and markings, from the triple-banded Coccinella trifasciata to the multi-spotted Harmonia axyridis. Many cultures consider the sight of a ladybug lucky. (The Turkish name for the insect is u?ur böce?i, which translates literally to “good luck bug.”) You don’t have to subscribe to superstition to admire Eng’s handiwork, however. The designer took pains to make her pins as true to life as possible, using wax casts of actual specimens to create her molds, then wielding a needle to hand-paint the different patterns. Many cultures consider ladybugs lucky, but you don’t have to be superstitious to admire the handiwork. 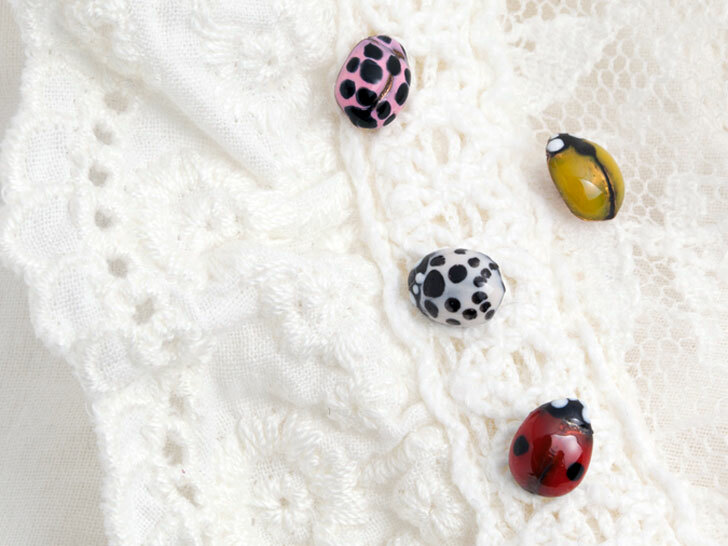 “The thing I like most about them, is that they encourage awareness of different species of ladybugs, many of which are quickly disappearing due to changes in the environment,” Eng tells Ecouterre. Her favorite part of the process? Adding the ladybug faces. “I really take my time to make sure all of the faces are cute,” she adds. Each pin arrives packaged in a custom box inspired by butterfly specimen cases—perfect for wearing, giving, or displaying. You don't have to subscribe to superstition to admire Eng's handiwork, however. The designer took pains to make her pins as true to life as possible, using wax casts of actual specimens to create her molds, then wielding a needle to hand-paint the different patterns. "The thing I like most about them, is that they encourage awareness of different species of ladybugs, many of which are quickly disappearing due to changes in the environment," Eng tells Ecouterre. Her favorite part of the process? Adding the ladybug faces. "I really take my time to make sure all of the faces are cute," she adds.